Simon Phillip Cowell is a British TV personality, Judge and philanthropist, who is mostly known for being playing one of the Judges on reality shows like Britain's Got Talent, The X Factor, American Idol and many other shows. He is also a producer and an entrepreneur.Simon runs an entertainment company named Syco. He is currently playing judge on America's Got Talent and its British version, along with 'The X-Factor'. He was listed among "100 most influential people in the world" twice, by the Time Magazine. In December 2003, Cowell Published his autobiography titled "I Don't Mean to be Rude, but...."
Simon Cowell was born on 07 October 1959, to music industry executive and estate agent developer Eric Selig Phillip Cowell. Simon's mother was a ballet dancer. Simon has a total of 5 siblings. His younger brother Nicholas Cowell is an estate agent.As a student, Simon Cowell studied English Literature and attained a General Certificate of Education in sociology. He switched between many jobs, in his early career and even worked at EMI Music Publishing where his father worked as an executive. He quit his job at EMI to form a music label company Fanfare Records. Fanfare went bankrupt soon and Simon took a job at Bertelsmann Music Group (BMG) as an A&R consultant. In 1995, he convinced English Pop Duo Robson & Jerome to record the song "Unchained Melody". The song reached the number one spot in England and sold millions of copies. Later Simon signed the Irish boy band 'Westlife' as well. In 2001, Simon Cowell was signed to play a Judge on the British television music competition show Pop Idol. Pop Idol went on to become famous and ran a course of 2 series before Simon Cowell announced the launch of The X Factor (UK version) in April 2004. Pop Idol was discontinued. Later in 2002, Simon Cowell was asked to judge the first season of American Idol. He remained with American Idol until its seventh season in 2010, when he was replaced by Steven Tyler. In 2003, Simon Cowell founded an entertainment company named 'Syco' and produced a new music reality show 'the X-Factor' in 2004. X-Factor turned out to be a successful show and was well-received by the audience. Television personality Sharon Osbourne and entertainment manager Louis Walsh co-judged the first season of X-Factor, along with Simon. The three remained judges for first three seasons of the show. Leona Lewis, who won the third season, signed a contract with Simon's Syco and released many singles, which were successful. Dannii Minogue was signed in as a new Judge for the fourth season. Similarly, English singer and dancer Cheryl Cole was signed for the fifth season and kept judging until the seventh season. The English-Irish famous pop band 'One Direction', were founded on and were once contesting in the seventh season of X-Factor. They won the third position. The band was signed by Cowell's label and released many singles in 2011 and later. 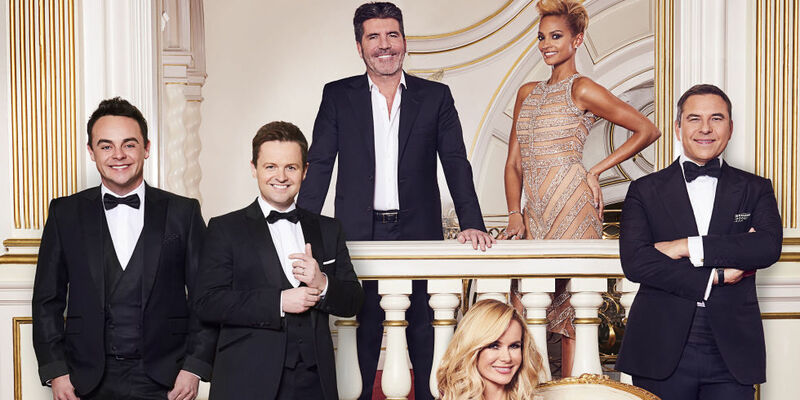 Country-wise versions of X-Factor were released citing the success of the original show. 'The X Factor Australia' was launched in 2005 and the American version 'The X Factor USA' was launched in September 2011. 14th Season of the UK version will on floor in the last months of 2017. 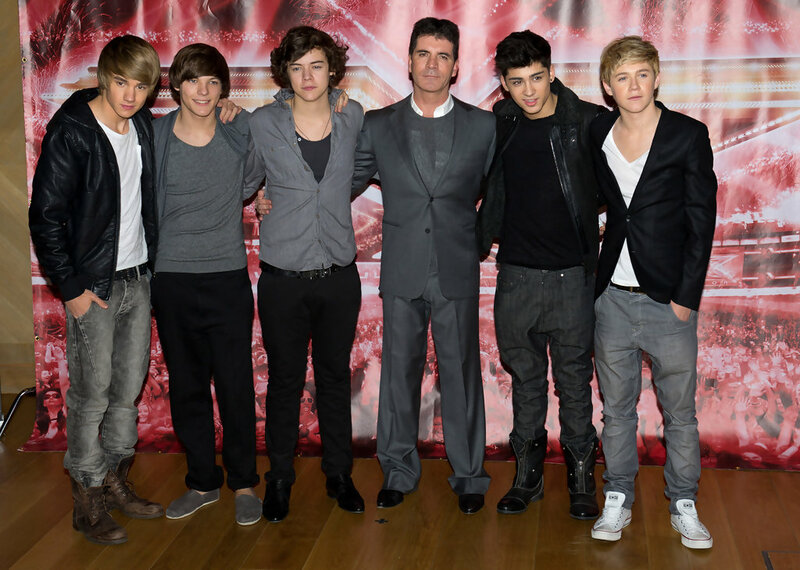 Simon Cowell has been involved with charity works and has worked with BBC's charity telethon Children In Need. Simon is also the patron of UK's registered charity 'Together for Short Lives'. Simon has been working towards animals rights as well and has appeared in a video for animal rights group PETA. He has helped with collecting funds for the Haiti earthquake. Simon Cowell is married to Lauren Silverman and has one child with her. Simon is fond of cars and his collection includes a Jaguar E-Type, a Ford Bronco, a Rolls Royce, and a Bentley Azure, along with many other cars. He was named as one of the wealthiest people of UK by the English daily 'The Sunday Times'. It is claimed that he earns almost 95 million dollars every year. ➯ He is known to be straightforward and rather rude while passing remarks at the contestants. He usually starts his sentence with 'I Don't Mean to be Rude, but..'. ➯ Simon Cowell is a well-known judge and producer of reality shows. ➯ Simon Cowell's father Eric Selig Phillip Cowell was a music executive at EMI Music Publishing. ➯ Simon Cowell worked at EMI for a while before starting his own company Fanfare Records. ➯ Unchained Melody was Simon's first hit song. ➯ Simon Cowell has judged many reality shows like Pop Idol and American Idol. ➯ Simon Cowell is the creator and judge of the show X-Factor. ➯ Simon Cowell is the patron of UK's registered charity 'Together for Short Lives'. ➯ Simon Cowell is married to Lauren Silverman. ➯ Cowell published his autobiography titled "I Don't Mean to be Rude, but....", in December 2003. ➯ "Normally, they want me to be rude to them". ➯ "If I tape an 11-hour day, guess which parts end up on air. Not the bits when I'm pleasant, but the parts when I'm obnoxious".